Source : Religion, State and Ideology, CEMAM Reports 1975, Beyrouth, vol. 3, 1976, p. 213-222. 1Among the Egyptian Marxists who criticize the ideology of the current regime, it is common to speak of “mass movements” – student agitation, worker and even peasant protests – which occur regularly to corroborate their own analyses and political stands. It is very doubtful, however, that a homogeneous resistance, manifesting itself in the same way and for the same reasons, could be formed from sectors so different as the student world, by its nature tied to the intelligentsia, and the world of the laborer, to say nothing of the peasants. Besides, the tensions between the government and the students and intellectuals are quite well known because of the notoriety of persons, the location of the universities in the center of the city, and their connections with foreign press centers. When there is agitation it is known almost immediately; it is impossible to supress or deform events. The same is not true for movements among the workers. They take place in suburbs far from the center of the large cities where the press has less sensitive antennae. The censorship of the national press can eradicate the event or give it an acceptable interpretation, and the Egyptian laborer has no spokesman outside the country. For these reasons it seems useful to draw up a chronology of worker agitation in Egypt during these last five years in order to let the facts speak for themselves. 2The chronology is limited to the post-Nasser period – Nasser died on Sept 28, 1970 – because the history of popular movements under the Nasser regime has already been recorded, and also, because the situation now is different. Nasser left to his succesor an Egypt which was more industrialized and a worker population which was more numerous. He had tried to fit the latter into a developed trade union system, integrated into the sole party in a way that would channel the political weight given to the popular masses. Moreover, his stature as a national and an Arab hero gave a special significance to mass movements in Egypt. Once he had gone the question remainded: how did his system of worker control function? And how to interpret the conflicts which that system never managed to avoid or resolve? 3The chronology below is based mainly on the Egyptian and Lebanese press1. Occasionally mention is made of facts which did not appear in the press but were well known in Egypt – with the reserve appropriate to such information. Also it is well known that the Egyptian press tends to play down events, whereas the Lebanese press, which often gives more details, tends in the other direction. Finally, in Lebanon, the information often appears in weeklies and reviews well after the event and in relation to other affairs. This makes it difficult at times to situate the facts exactly with regard to nature, date and place. The orientation of the reporter must also be taken into account. For this reason the inventory is not sufficient without a certain amount or explanation. 4On August 29, 1971, President Sadat told the Central Committee of the ASU that there had been problems and strikes at the Iron and Steel Mill at Helwan – “a small number” of workers occupied the factory, blocked the other workers from entering, and held the president of the union hostage for one night, releasing him only after a promise that their demands would be met. Sadat accused the “clique of Sabri” of having fomented the trouble and underlined the necessity of cleansing up the trade unions, but at the same time he recommended a revision of work hours, promotion, and social assurance in the factory. A committee for inquiry was formed to determine responsibility, and sanctions were announced in the press on Sept. 7: the manager of the factory, the president of its administrative council, and certain supervisors were retired, other people with posts of responsibility were transfered, and the workers who had been agitating were fired or dispersed in other factories. The ASU committee and the Union of Steel Workers were dissolved (Press 30/8 and 7/9). Then, on Sept. 25, the govemment took social measures: new laws for labor and for salaries. 5On November 10, in Cairo, there was a strike by taxi drivers (13,000 according to al-Nahar, Beirut; 4,000 according to AFP) protesting the arrest of some of their number for having refused service to clients. 6This year is marked by confessional conflict and student troubles in January and the end of December, spilling over into January 1973. 7Al-Jumhuriyya reports on March 23 that there were serious troubles the day before among the workers of Shubra al-Khayma in the north suburb of Cairo. Subversive elements were blamed and 153 people were arrested. Nevertheless, the govemment decreed a raise in minimum salary and a decrease of the work week from 48 to 42 hours – in the private sector. According to the Lebanese press, the troubles lasted four days, the Prime Minister Aziz Sidqi was spat upon, the cars of officials of the ASU were stoned, and there were violent clashes with the police corne to occupy the quarter. The discontent of the workers stemmed from the tact that the industrialists were not applying the “socialist measures” promulgated by the Revolution. Again on April 30 there was some minor agitation. 8At the beginning of the year, the student agitation continued. Following this, from February on, the government tried to bring to heel the intellectuals and journalists who had supported the students. When in June preparations were made to judge those responsible for the student troubles along with some intellectuals and four workers (accused among other things of having formed secret political parties and there is talk in the press of new arrests, especially of workers active in unions (Hurriyya 16/7, information reprinted in L’Orient-Le Jour 17/7, and Le Monde 18/7). 9That year, up until the October War, the press was full of studies and articles on the high cost of living (al-Ahram 7, 8, 10, 12, 14, 21 and 22/3), on rents (Ibid l4/4) and other indicators of increasing malaise2. In fact, social measures were taken for the class with low income (Ibid 22/4) and for seasonal workers who number an estimated 4 millions. However, there was no popular agitation noted. Only in July was there talk of a riotous day in the old quarter of Sayyida Zaynab in Cairo – the tumult was a response to police brutality (al-Nahar 29/7 and, in al-Ahram 2 and 7/9, articles by Mahmud Murad on the wave of violence and the methods of the police). 10But in the beginning of November, in Alexandria, the workers in a textile factory for flax in the Wardiya quarter, refused to work one Friday – unpaid day of work for the war effort – and a second factory joined in to offer support. When the police intervened some workers were injured. This provoked an outburst of anger vented in an attack on stores and on cars in the street. 90 workers were arrested (Hurriyya 5/8/1974 and Balagh 20/T1/1975). 11Also, on the occasion of the inauguration of the third great fumace at the steel mill in Helwan3, December 15, there was protest from the workers. A bonus of one month’s salary was to have been paid to workers with more than one year’s service, and a lesser bonus to those with more than six months service. The latter were the ones who agitated; they refused to work until their demands were met (Hurriyya 5/8 and Raya 22/12/73 claim that on that occasion tracts against the October cease-fire were distributed). 12The feeling of national pride created by the October War (1973) did not cover over for long the daily concern with rising prices. The minimum salary for a daily worker was increased on 15/1; on 11/6 the People’s Assembly received a law to increase the minimum salary and to give tax exemption for low salaries. On 12/8 some 250,000 peasant-owners were exempted from land tax after the official tariff tariff on agricultural products (2/4) and on cotton (20/7) had been raised. 13In March, there was talk of agitation among the stevedores of the Port at Alexandria protesting the elimination of a salary advantage. A group of 500 of them obtained immediate satisfaction. Then in August at Mahalla al-Kubra police clashed with workers from the small textile plants grouped around the main mill. The following month a wave of workers discontent and protest spread through Alexandria, Shubra and Helwan. The AFP remarked that discontent was “not serious” (L‘Orient-Le Jour 21/9) and al-Balagh refered to it as a “slow-down” strike (13/1/ 75). The problem was the conjonction that year of two dates which traditionally demand heavy family expenses – the opening of school and the fast of Ramadan. Government decrees solved the problem for the public sector by allowing salary advances, and for all by allowing advances against retirement pay, up to 30 Egyptian pounds. 14On December 23, President Sadat came to Port Sa’id to commemorate the victory of 1956. The city had been deserted for five years, and people had returned only a few months previously. Before a large crowd, and in the presence of Sadat, the governor stirred up a tempest by announcing that the people would have to pay only one third of their back rent (Balagh 20/1/75). 15The government had sent a draft law to the Assembly putting the salaries of workers in the public sector in line with the salary scale of civil servants (Ahram 4/11/74). The General Federation of Unions voiced reserves concerning the law (Ahram 11/11/74). The workers at the Iron and Steel Mill in Helwan complained that the law would freeze wage increases and consequently proposed their own seale of salaries. Sayyid Mari, President of the People’s Assembly, arrived at Helwan for conciliation but found himself blocked by a strike. The workers elected a committee to negociate with authorities and, on January 10, they assembled at the train station of Bab al-Luq to march to the Assembly and present their demands. They clashed with the police as “the manifestation spread into the commercial quarter where store windows were smashed and cars overturned. 68 of the workers arrested were imprisoned to await trial. On January 2, student groups demonstrated in solidarity and from January 4, the press began to write about the discovery of three communist organizations and the arrest of leftists, including union leaders. On January 7, the national news agency, MEN, spoke of 120 arrests while the Lebanese press gave figures of 180, 400 and even 800 – the latter in the pro-Libyan al-Safir. According to the official version, extremists on the left were trying to exploit economic difficulties (interview with President Sadat in al-Anwar 9/l). In Lebanon, the movement was put in relation with the discontent at Egypt’s drawing close to the United States, and, more correctly, with high prices, food shortages, and the problems of transport and housing (Balagh 13/1/75). 16March 20 to 22, there were strikes and violent demonstrations at the big mill of Mahalla al-Kubra. The workers demanded a salary increase proportional to the rise in living costs. In the course of negociations between their representatives and the factory management, the workers judged that they weren’t being heard. Some decided to attack the offices of the directors, others burned and sacked the cotton warehouse. The police intervened; the toll was one dead and several injured. The factory was closed down, 25 workers were arrested the first day, and 50 more the second day when the agitation moved into the city where stores and government offices were sacked. The administration, the ASU officials, and those of the Youth Organization met together to study the problems of the workers and to restore calm. 17This series of events seems to have awakened opinion to the malaise of the workers. Near the end of the same month, a union official demanded that the 1971 law on minimum salary in the public sector be applied also to the private sector and that special increasments be paid to the workers in the Phosphate Company on the Red Sea because of their working in the desert (Ahram 31/3). 18Finally, in early November, there was talk in Cairo of a rumble among the workers of Egypt Air, the national airline company. It was a strike of sorts for professional benefits, which were quickly given. 19From this inventory certain tacts stand out: the factories and industrial sectors affected by the worker agitation, the relations of the different groups of workers among themselves and with other groups in the country, and the motives behind the agitation. This data allows us to change a few reflections on the present nature of the worker movement in Egypt. 20With regard to localities and industrial sectors affected, two poles emerge – the Iron and Steel Mill of Helwan and the textile industry at Mahalla4 and Shubra. These two sectors are very different. At Helwan there is a concentration of heavy and semi-heavy industry – steel mills, assembly plants, chemical plants, a military factory. Most of these factories were created relatively recently by the public sector and employ fairly well qualified manpower. Textile production, on the other hand, is a very old industry in Egypt. It is scarcely modernized and employs workers with little qualification; the large factories were nationalized, the medium and small factories remained private. These medium and small enterprises are numerous at Shubra and are surrounded by similar enterprises for soap, ceramics, etc. Here the worker is less paid and protected, even in the nationalized factories, because the rules governing the public sector are not homogeneous. We should underline here that many large industrial sectors were not affected by the agitation – sugar factories in Upper Egypt, the light medium mechanical industries of Musturud, the cement factories of Tura and Mex, the spinning mills of Kafr al-Dawar, the military factories of Abu Zaabal, the petroleum industry presently concentrated just west of Alexandria. It is true that the personnel of the military factories, more closely supervised, are better paid. Also the petroleum sector, more specialized and profiting from foreign connections, has a rich union and its workers and engineers are at the top of the salary scales. 21It should also be pointed out that, save in the autumn of 1974 when there was general discontent which fell short of strikes, there is no connection between the different localities and the times of worker agitation. It occurs in one place now, in another later, but the worker does not go out on strike because of solidarity with a movement set in motion elsewhere such as happens in the student world. Even though it does happen that a fraction of the student were in acts of solidarity with worker agitation – but in a fashion less impressive than February 1968 – the inverse is just not true. There was no agitation among workers to show solidarity with the student troubles of January 1972 or of December, 1972 - January 1973. The labor force acts now as an autonomous sector of the nation even though it is much more fragmented than the student world. It has become inexact to speak in global fashion about the agitation of “popular masses” in Egypt. 22It is very clear, but still it may need underlining, that the root of all these worker movements are demands connected with the workers’ own status – betterment of work conditions, social security, and especially, salary increases. Here there are two attitudes to be distinguished among the workers. The lowest level of the laboring class demands the advantages which other workers already enjoy – for example, the private and the nationalized sector want the same status as the public sector which is favored more, so they urge application of the law. At the highest level, the fight is to press beyond this legal status and impose one’s own scale of salaries. These two demands are different and explain why the worker movement is dispersed. The workers consciousness of their needs and their rights is common, but there is no consciousness of a single laboring class. 23In the milieu of the laborers there is no “equality in misery”, but rather within the noticeable betterment of the social level of the workers as a whole there are certain sectors which “take off” more rapidly than others, sometimes for purely circumstantial reasons, and this, of course, arouses the aspirations of the less favored. At the same time, the more favored sectors are disturbed to see their advantages continually menaced and eroded by inflation and rising prices. In other words, the consciousness of needs grows more quickly than resources, a fact which translates itself, at the level of the national economy, into an increase of consumption greater than that of production. 24The consciousness of just demands is also an exaspirated consciousness which manifests itself in violence – the workers lock-in managers, malign officials, attack the police, and they break and burn more and more regularly. The exaspiration, no doubt, is in good part the product of the general deterioration of urban existence in Egypt – overloaded transport, lack of housing, over-population, poor health conditions, disorganized food supply with cyclic shortages and interminable queues before cooperatives, administration which is often abusive and demands payment for every service. All that weighs most heavily on the lower classes. Then comes a day when limits of tolerance are surpassed and anger runs rampant. But that is not all – the violence is an exasperated cry of those who can no longer make themselves heard in any other way because normal channels are blocked. Here it is not only the nature of political expression through the ASU which is called into question. There has been enough said everywhere, even in Egypt, about the ASU – its artificiality, its control from on high, its bureaucratism, to the point that the 501 of worker-peasant representatives elected to the People’s Assembly can hardly give voice to their supposed constituents. No, rather than the ASU, it is the workers’ unions themselves which this violence accuses of absence and inefficacity. 25Born of the same state ideology as the sole party, the sole union has at base the same structure as the party with the difference that the basic units are not grouped by province (as the ASU) but by corporations which form Federations which are in turn grouped into the General Confederation. Also the union organization has close ties with the ASU not only at the base where every elected union delegate should be approved by the political organization but also at the summit where the Minister of Labor is, most of the time, from the top union leadership. Egyptian unionism suffers, then, from the same impotence as the ASU. When demands are pressed, the union finds itself caught in crossfire – either both the government and the workers attacked when the union attempted to mediate (Helwan 1971), or the union representatives close to the base who supported the workers are arrested; or, finally, the workers short-circuit their union delegates by electing a committee which is truly representative (Helwan 1975). It is easy to understand that the union organization, like the ASU, is in crisis and is presently the object of radical criticism and attempts at reorganization. 26Searching for a method of representation and expression which will be truly its own – something found neither in the official organizations nor in the leftist intelligensita – the worker movement appears to be becoming conscious of its proper nature. The conflicts it meets hasten its recognition of its goals, situate more exactly the obstacles in its path, and clarify its own motives. It can be said that the union movement has made itself free from the “national movement” (the struggle for independence) where Nasserism kept it tied; it is now autonomous. The slogan of unity of national forces no longer has sufficient hold on the workers to prohibit them from using their own means – popular agitation, illegal strikes – to arrive at their own goals, namely the freedom to state their demands and to take the necessary action to shape their own status. 27Paradoxally, the formal socialist structures bequeathed by the Charter of Nasser can, in this case, play a role of stimulation and orientation. In theory, the worker has become part of the administrative councils of both union and political organizations. Were legal socialism to become more real, the workers would truly participate in the political, economic and social construction of the country while restructuring their own world. But, in tact, the distance they feel between the theoretical affirmations made by the regime and its actual accomplishments is, on the contrary, a ferment for agitation. Obviously, the preoccupations of the present ruiling class have a different orientation: openness to foreign capital (especially from Arab oil Producers), productivity and profit in the public sector, and expansion in the private sector. The politico-economic liberalization has been accompanied by a good amount of “tapping” the national revenue to the profit of a new bourgeoisie’ in full expansion – the “fat cats”, as they say in Egypt. In these conditions, worker agitation will undoubtedly increase and become more radical. 28After the experience of these last years, it is possible to imagine it taking two forms. Helwan offers a harsh model, organized and involved, and undoubtedly more permeable to the politization of the struggle. It is in that milieu, the most developed, that the economic and social criticisms of the regime by the Egyptian left find the greatest echoes. But there is also the “Shubra model” which can find an extended area of action with great possibilities in the monsterous urbanization of Cairo, and now of Alexandria and other cities in the provinces. Here it is question of violent popular explosions which will be increasingly more difficult to control if they multiply and expand. For those who know how much, for example, the social geography of Beirut is a determining factor of the tenacity, duration, and rekindling of the Lebanese crisis, the disordered proliferation of the Cairo agglomeration, increasing at the rhythm of nearly one half million people per year, conjures up dire possibilities of a serious social crisis. 29In any case, the acceleration of worker agitation should be counted as a sign of the irreversible mutations in Egyptian society. The laboring milieu, agitated by various tensions, has begun to move to satisfy its own aspirations. It is hard to believe that the model of a society unified by “faith and science”, to use the official formula, will satisfy these aspirations. 1 I have retained only the facts that are singled out by several sources and in precise, detailed fashion. For example, I do not use an article such as that in al-Hawadith “The return to life of the Egyptian Communist Party” (18/1/74 p. 22) because it enumerates troubles in an electronic factory at Benha during the winter of 1970, then in a ceramic factory at Shubra al-Khayma, and finally, in two factories (matches and textiles) of Alexandria (perhaps in Nov. 73) without date or detail. As for the general orientation of the sources used : dailies – al-Nahar and L’Orient Le Jour are independent; weekilies as al-Baigh has Algerian connections, al-Hurriyya and al-Akhbar are run by Lebanese Communist organizations, al Raya by a minority group of Syrian Bath, al-Hawadith is independent. All are Beirut publications. These weeklies frequently have articles by Egyptian Marxists exiled in February 1973 but who keep close contact with their country. For example: Michel Kamil, Ghali Shukri, Nabil Zaki, Amir Iskandar. 2 The year 1973 seems to have marked the date of reactivation of the Communist Parties in Egypt. One of the key accusations against the students put on trial was their having formed illegal political associations - Committee for the Defense of Democracy, and National Democratic Grouping. See Nahar and Ahram 19/6. The seven persons whose arrest is pointed out by Hurriyya on 16/7 had formed a Communist Party. The article from Hawadith, cited above in note 1, analyzes 3 numbers of the Communist review al-Tahrir which appeared in November 73, as well as various allied documents; however, the content seems to have little relation with worker demands. 3 Helwan, a worker suburb in southern Cairo, has 36 factories employing 100,000 workers. The steel mill is the most important; it is a pilot factory. 4 At Mahalla, 250,000 inhabitants, the spinning mill, founded by the Misr Group and nationalized in 1961, employs 30,000 workers including 4,000 women. MARTIN, Maurice. A note on Worker Agitation in Egypt (1971-1975) In : Notes et articles sur l’Égypte [en ligne]. Le Caire : CEDEJ - Égypte/Soudan, 2018 (généré le 22 avril 2019). Disponible sur Internet : <http://books.openedition.org/cedej/1751>. ISBN : 9782905838971. DOI : 10.4000/books.cedej.1751. Martin, Maurice. “A note on Worker Agitation in Egypt (1971-1975)”. 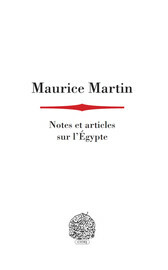 Notes et articles sur l’Égypte. By Martin. Le Caire : CEDEJ - Égypte/Soudan, 2018. (pp. 97-108) Web. <http://books.openedition.org/cedej/1751>.